From Towing to Roadside, from Flatbed Tow Trucks to Heavy Duty Towing Trucks, West Los Angeles Towing Services is that only place you’ll need to call! We offer a series of highly-rated services expanding from successful roadside assistance to professional tow truck technicians, which can be offered to you once you give us a call today at (310) 513-5499. Here in our office, we believe in the PRAM system, which we’ll be explaining to you as follows. P – Punctuality: We believe that Punctuality is key when winning over the hearts of our customers. When you call our office, you’ll hear from our friendly neighborhood dispatcher who understands and comprehends your situation better than you will, who will prescribe to you a tow truck technician who will get you to and provide you the service that will get you and you vehicle back on the road. Upon your call, we make it our mission to get to you so that you’re not stranded for too long. 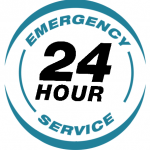 R – Reliability: West Los Angeles Towing Services believe that with all companies and businesses, reliability is an issue that is sometimes difficult to obtain. With this, we make sure that whatever services we’re set out to perform, gets completed to the best of our ability, with our goal to get your car back on the road as soon as possible. We do what we can to serve you and sometimes, we go above and beyond to make sure that you can rely on us the next time you need us. A – Affordability: We offer a wide variety of tow truck services, from 24-Hour Roadside Assistance to Heavy Duty Towing Services. Other services that we offer include lockout, jump start, tire change, gas delivery, flatbed towing, and wheel lift towing, medium and heavy duty towing services. With all of these services at your disposal, we guarantee that your needs will be met at the most reasonable and low prices as possible! We care about your vehicle and we’d like to make sure you’re on the road as soon as possible, so our rates will be the best you could obtain in the county of Los Angeles. M – Multiple: We carried a large fleet of about two dozen tow trucks all around West Los Angeles, from smaller more convenient roadside assistance vehicles to larger heavy duty doom trucks, we can cater to multiple locations for any type of services needed. Other vehicles we offer towing services from include flatbed tow trucks, medium duty wheel lift trucks, winch out vehicles and of course, our very requested roadside assistance vehicles that offer all other minor vehicle repairs. 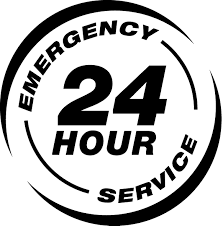 As with all services, give West Los Angeles Towing Services a call for more information regarding the above mentioned services, as well as a series of other services that we’re able to provide for you and your vehicle. Call (310) 513-5499 for more information today from our friendly dispatchers and live operators who will cater and diagnose your vehicle dilemma in West Los Angeles and prescribe you with a professional who will be reliable and affordable with your situation.